Like new and beautiful. I'll let the pics talk for me. That was supposed to be GCV not GVC! We all got it. Now if you would have said PVC, that would have been confusing. I'm going to drop the price for 1 week only to $375 shipped. If it doesn't go I'm pulling it and putting it in the closet. 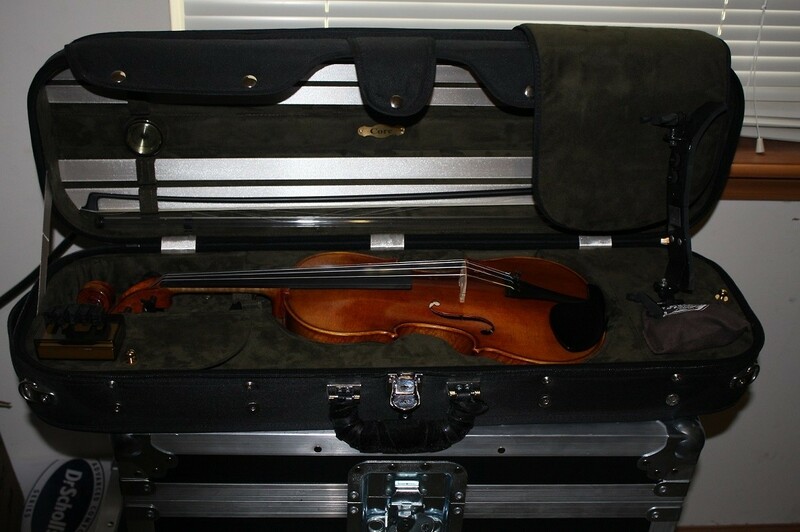 Here's a limited chance for a new student to purchase a like new very nice instrument with lots of extras for a basic stater violin price. 4/4 with one fine tuner on the E or A? awesome, someone go for it! Interested in this outfit for my son. I've PM'd you, but I don't know if I did that correctly. Thanks. 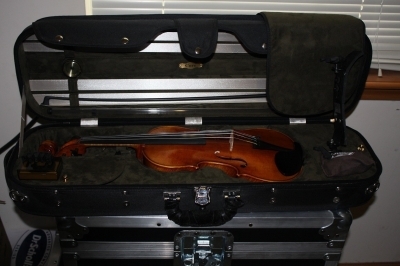 The Violin outfit is on hold pending sale to Julia! I hated to sell but it was the right thing to do. It was fun just to look at it!